Glass.World. Finding life in the lucid glamour. Seeing reality in the pure nature. Heat-treated and quench-hardened, the thousand-year-old glass has stood out in our life with its inherent charm and unrivalled beauty, thus becoming the love of artists. Created and treated by the Masters of Glass Art, it has turned into gorgeous artworks from plain materials, thus reflecting the true meaning of life. A piece of Glass. A Wonderful World. Sharing the infinite possibilities of Glass is the concept of the establishment of SHMOG. 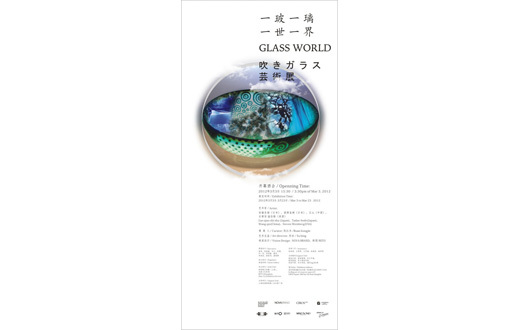 Under this concept, this event encourages creating a more splendid space of the Arts of Glass in sharing and presents the finest art and the most brilliant technologies to the public.